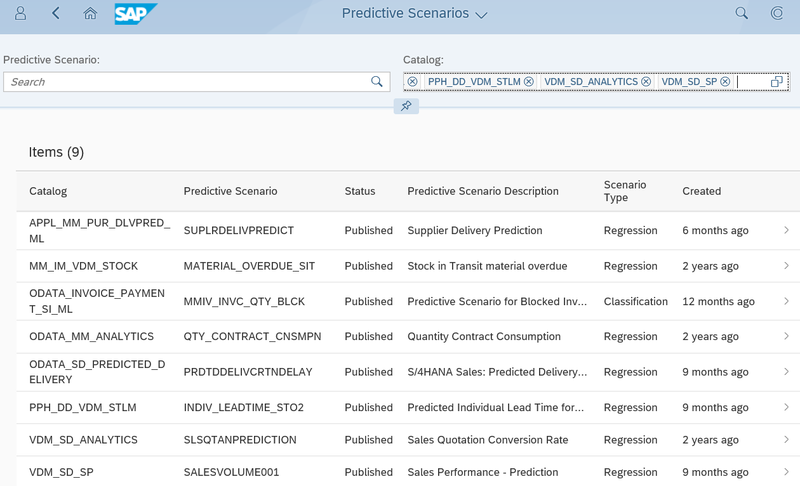 Here is a great blog series on Predictive Analytics integrator (PAi) and how to use it to manage the predictive content imbedded in S/4HANA processes including Sales, Finance, Procurement, Logistics and Project Management. By SAP’s Orla Cullen. Welcome to the third installment in the PAi and S/4HANA Blog series. Since S/4HANA Cloud version 1705, and S/4HANA On Premise version 1709, we have been embedding predictive content in to various S/4HANA processes including Sales, Finance, Procurement, Logistics and Project Management. OK – for S/4HANA Cloud customers we can dive right in, but for the S/4HANA On Premise customers, please ensure you have completed the installation and configuration steps outlined in previous week’s blogs 1 & 2. 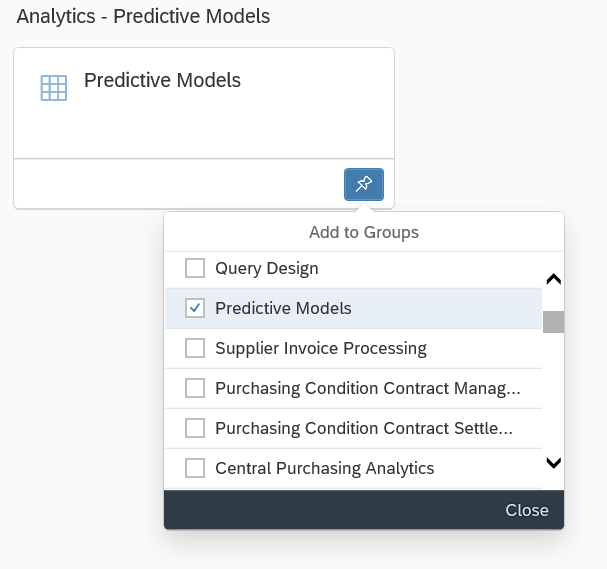 The first thing you need to do is check that you have the correct role to access the Predictive Models Fiori tile. The role required is SAP_BR_ANALYTICS_SPECIALIST – Analytics Specialist. Once the role is assigned, you can go ahead and add the specific tile from the APP Finder in Fiori Launch Pad. Go to App Finder and look for “Predictive Models” and “Predictive Scenarios” Apps. Add these to the Predictive Models group. 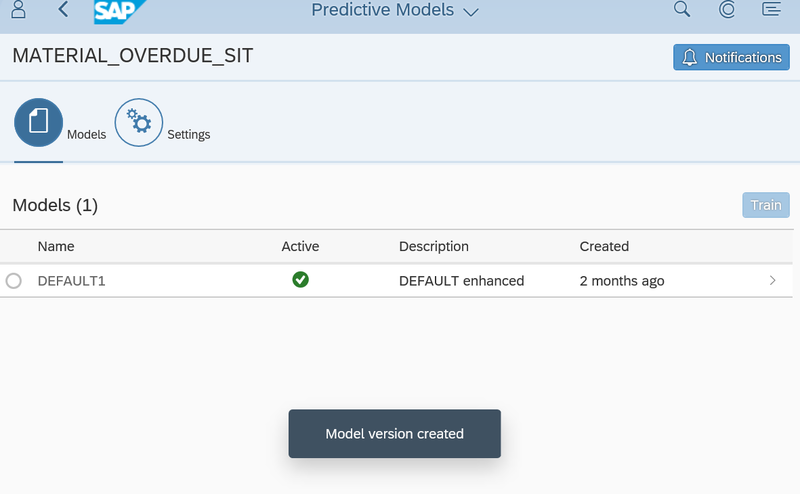 You’ll now see the Predictive Models Group with the Predictive Models and Predictive Scenario tiles on your Fiori Launch Pad. 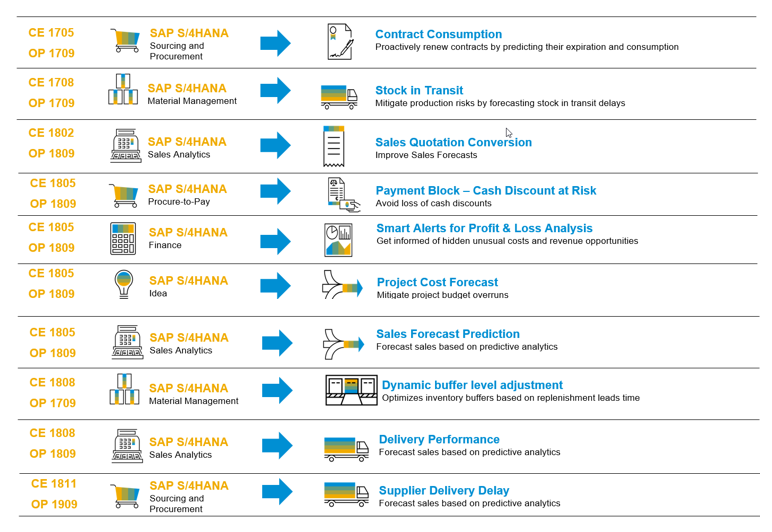 Depending on the version of S/4HANA you are on, you’ll see several Predictive Scenarios. 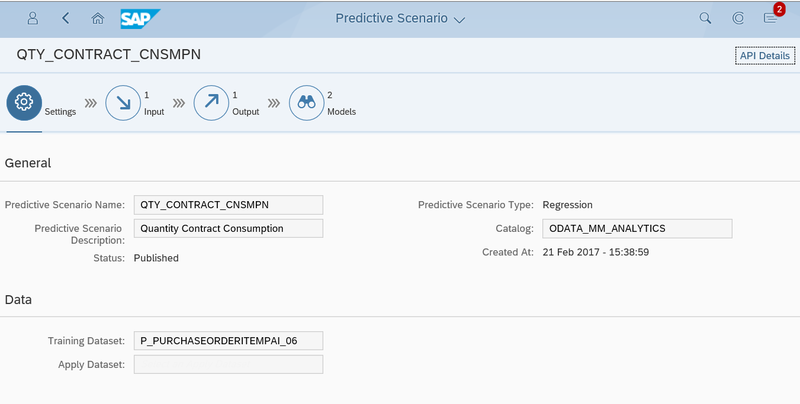 These Predictive Scenarios have been preconfigured by SAP S/4HANA to be used within your business processes. A Predictive Scenario is a template for a predictive use case which contains information about the algorithm, the training data set, and the target variable to be used to train the model. The Predictive Scenarios are linked to the appropriate business process application, so that the predictive results are consumed by the end user in their own environment. 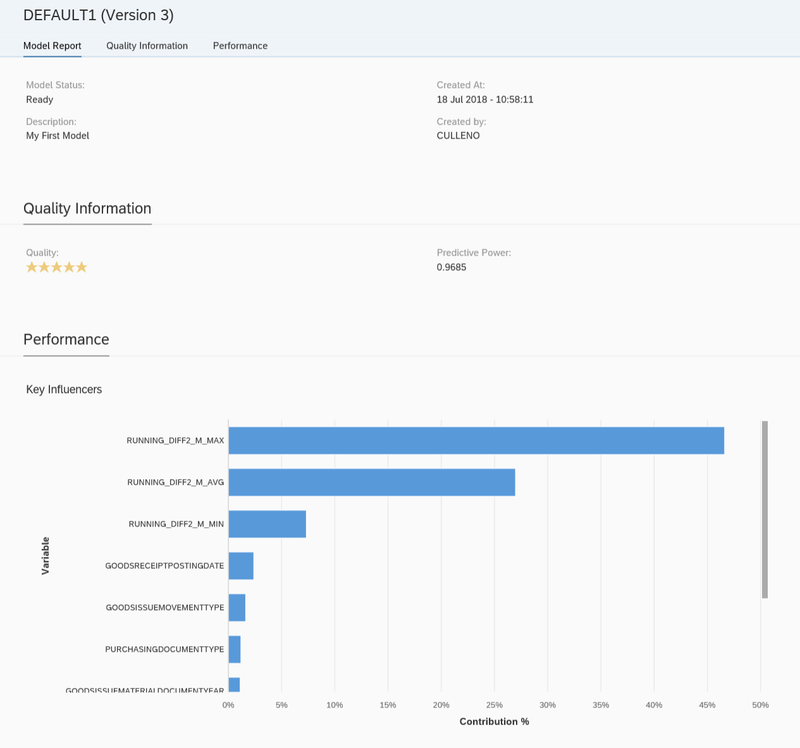 These templates are robustly tested internally by a data scientist within SAP, using sample data from customers who are participating in our co-innovation programs. 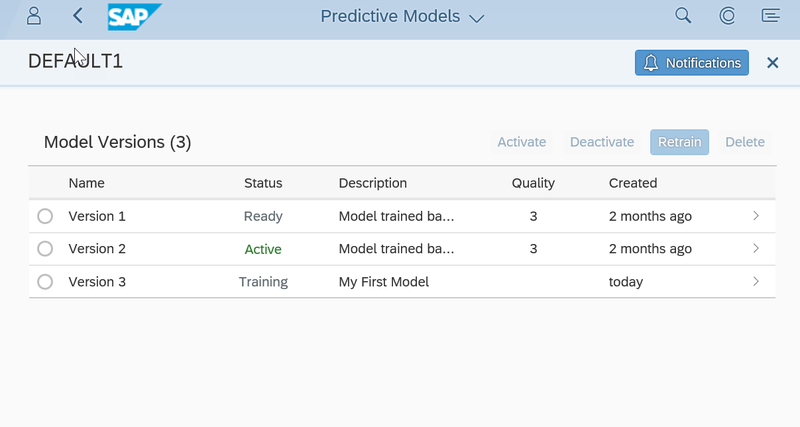 As you can see, we don’t ship trained models, but rather the ability for a customer to train models using their own data, based on these preconfigured details. Contract Consumption: Enables a buyer to predict contract consumption by analyzing contracts. The purchaser can analyze important information, such as expiring contracts, and proactively trigger sourcing activities, and negotiate better deals. 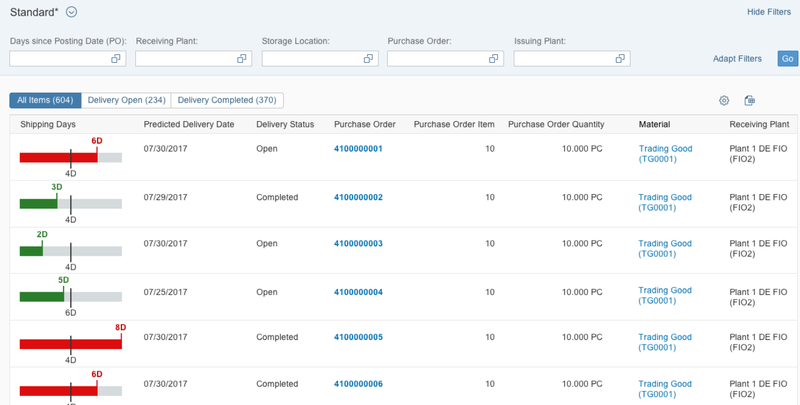 Stock in Transit: The “Materials Overdue – Stock in Transit” app gives an overview of the open shipments allowing business users to take action. With embedded predictive analytics, the app is enhanced with ‘Predicted Shipment Dates’ for each Goods Movement, to allow users to take action in managing delivery delays. Here historical data based on the earlier stock transit scenarios, and various other factors, are fed to the regression algorithm techniques, to arrive at a probable delay in the number of days. You can find further details on both Predictive Scenarios here. 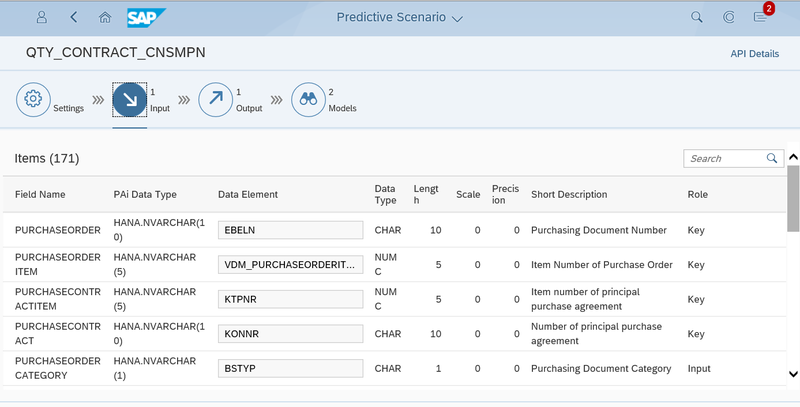 Once you open your Predictive Models Fiori App you’ll see a list of Predictive Scenarios. In the “Models” tab you’ll then see the default model, and in the “Settings” tab you’ll see details of the Predictive Scenario Template. The model is now in training, and you can select the arrow to check on the progress. The model can have a different status, at different times – Training, Error, Ready, or Active. An Error status can often be caused by lack of training data, or missing configuration steps, as outlined in Blogs 1 & 2. Once the status changes from Training to Ready, you can review the debriefing information for your model version. Debriefing information gives you information about the Quality of the model, including the Predictive Power, Predictive Confidence, and information on the variables that have the most impact on the model version. Once you are happy with the quality of your model, you can set it to Active. 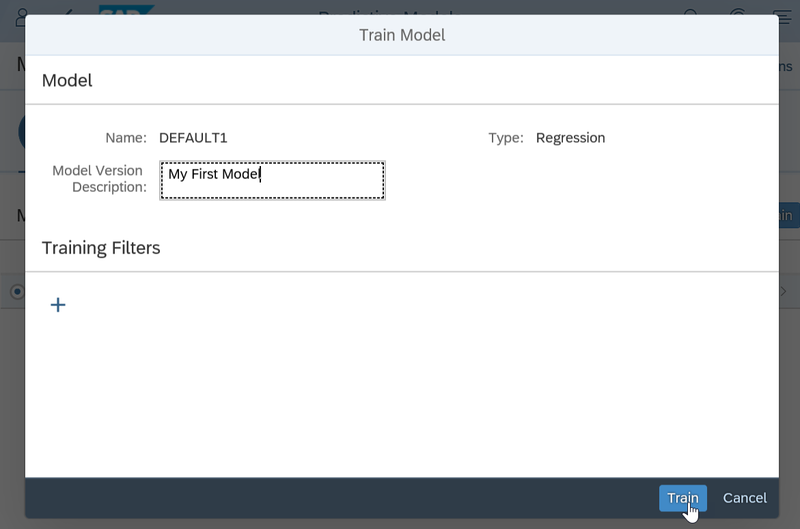 The model can be retrained, deactivated, or deleted at any time within in the Predictive Models Fiori tile. Now you know how to train and activate Predictive Scenarios shipped out of the box with S/4HANA. 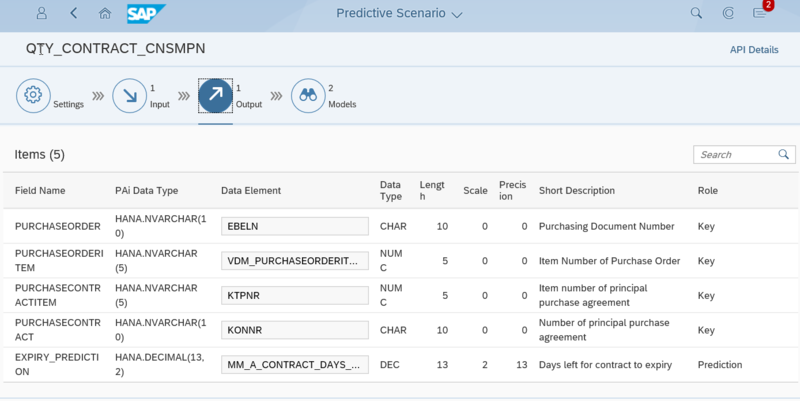 Stay tuned in the coming weeks we will start to go through how to approach predictive modeling, create your own models and publish them as NEW Predictive Scenarios in S/4HANA.